In a cold Chinese city the lives of several people collide in an unexpected fashion. A high school student accidentally causes his bully to suffer a crippling injury; that bully’s older brother – a local gangster – comes looking for revenge. The same brother has an affair with his best friend’s wife, leading that friend to commit suicide. The father of the bully’s school teacher is unwillingly forced out of his home for an aged care facility. These lives are ultimately united by an urban myth about an elephant in a faraway zoo, one that simply sits still and ignores the world around it. 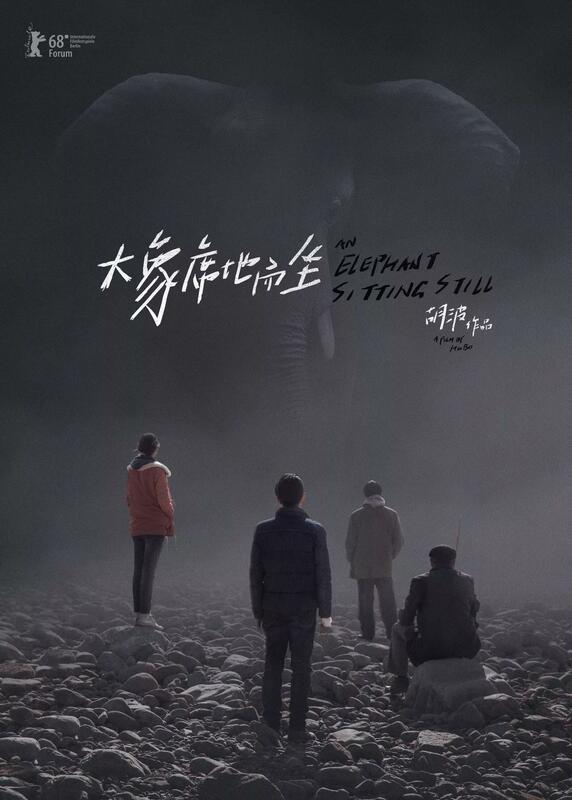 An Elephant Sitting Still is a film tragedy soaked in real-life tragedy; one that has been gaining enthused praise as it has made its journey from one film festival to another. It is a remarkable achievement. It is a four-hour ensemble drama written and directed from a relatively arthouse approach, but it has managed to win over both critics and festival audiences around the world. This success comes despite its considerable length and its firmly miserable and depressive tone. It also carries on its back the notoriety of its director – a successful novelist turned first-time director – committing suicide before he had completed the film. Hu Bo’s death ensures that his sole feature will never possibly be assessed upon its own merits. An Elephant Sitting Still presents a world of relentless dulled sorrow, where people suffer dreadful calamity, or jump out of windows to their death, or discover their loved ones don’t exactly love them back. It showcases sadness without escape, so much so that its creator wound up taking his own life. It is the kind of misery one simply cannot escape. Despite its length – the producers elected not to edit the film any further than where Hu left it – there is a remarkably comfortable and addictive style to the film. It takes its time certainly, but it has a relaxed sense to the piece that makes it extraordinarily watchable. Patience is clearly still required – comfortable or not, it still requires four hours to get through – but once the viewer lets the film run it is surprising how addictive it is. The film has a distinct visual style. The imagery holds close to its subject matter, and with a very tight depth of field. The picture focuses on one object at a time, with any other characters caught in the picture generally shown well out of focus. Numerous tracking shots hold close behind a given character, leading to a claustrophobic work showcasing the backs of a lot of heads. Like many independent Chinese films the musical score is both sparse and sparingly used. It all provides a strong sense of realism. The length makes it almost feel as if events are being shown in real-time. They are not, but with four hours of story telling the events of one day it almost may as well be. The film has uniformly strong performances, particularly by nominal star Peng Yuchang as the troubled teen Wei Bu (pictured above). Everything is performed in a highly naturalistic fashion, and with ample time to let the characters develop and interact to the best possible effect. An Elephant Sitting Still will never be judged fairly, nor will audiences ever be able to experience whatever work Hu Bo originally intended. It is unlikely we will ever fully separate the film from its director’s death. As a film work in itself, however, it is remarkable. It is bold, intelligent, philosophical, and beautifully miserable. It is an incomplete masterpiece.